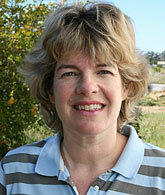 Kate Bergh is co-owner of Cedarberg Africa and heads up the South African office after moving there in 1993. Bright as a button, Kate read Philosophy, Politics and Economics at Oxford and worked in Management Consultancy and International Marketing before taking an MBA at Insead, France. Kate has always been passionate about Africa; her most memorable travel experience is a toss up between standing on the top of Mount Kilimanjaro in Tanzania and sleeping out on the Makgadikgadi Salt Pans in Botswana. Cedarberg Africa has offices in leafy Twickenham, London, and in South Africa. Cedarberg began in 1995 and the last 14 years have been spent working solely with people who want a high value, highly tailor-made safari or holiday in Africa and the Indian Ocean islands. Their clients range from parents anxious to make sure that all that the family's needs are met on a first-time safari, via time-pressured honeymooners, to safari veterans keen to try somewhere different. As well as tailormade safaris and holidays, Cedarberg has a particular interest in family safaris and walking safaris & hiking tours. Kate, and the Cedarberg team of 17, have plenty of first hand experience throughout Africa visiting safari lodges and camps, driving the roads, sleeping in the beds, watching the sunrise over a waterhole on the game drives... It's a tough life!